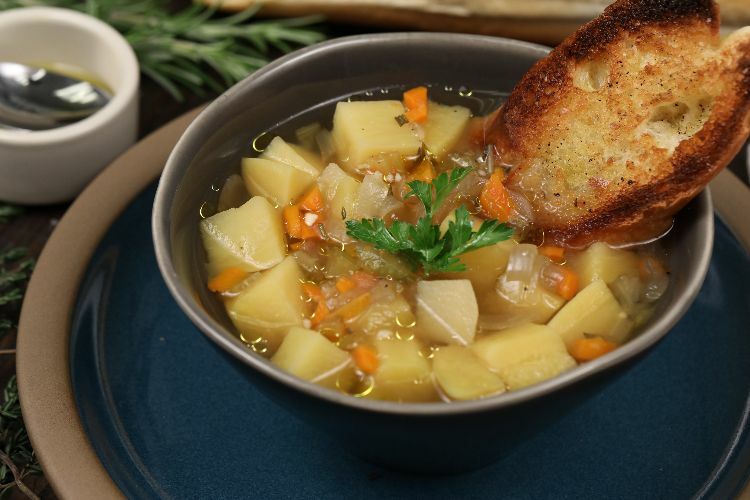 Some people think of soup as a side dish, something that isn't meant to be taken as seriously as any main course. It's probably safe to say that those people probably haven't tried this to-die-for potato soup recipe. The recipe takes no time at all to prepare -- all you have to do is combine all the ingredients in a slow cooker and cook on low while you are off doing more interesting things than babysitting a soup. Into a 6-quart slow cooker, add potatoes. Mix flour, salt and pepper and sprinkle over potatoes. 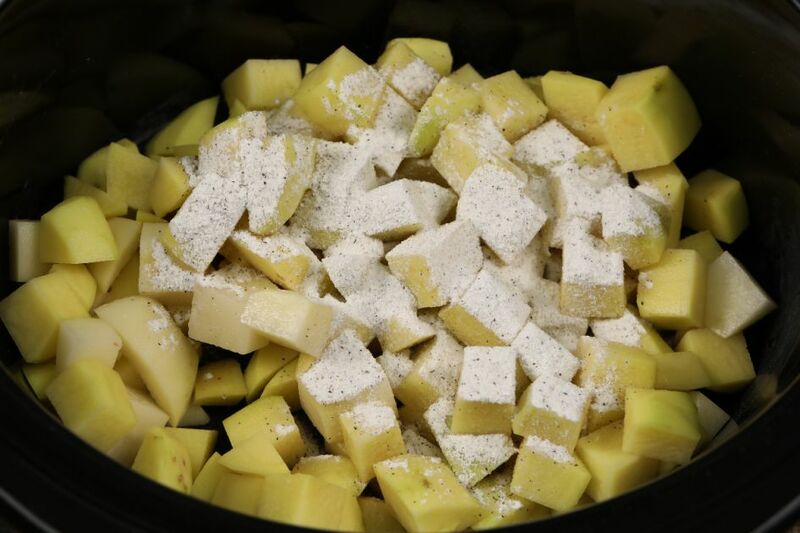 Mix so that all potatoes are lightly coated. Add in carrots, onion, garlic, celery, thyme, rosemary and water or no-sodium stock. If needed, pour in more water so that you have 3 inches of liquid above vegetables. Cook on low for 6-8 hours, or longer, depending on the desired texture of the soup. The longer you cook the soup the thicker it will be as the potatoes break down; the shorter the cook time the looser it will be. To finish add in olive oil and serve with crusty bread for a perfect pair. Pro tip: For a very thick soup cook for 9-10 hours and slightly smash potatoes with a large spoon for a thick creamy chunky soup. Note: All slow cookers are a little bit different in temperature and calibration. This recipe was tested in Cooktop Cove's Test Kitchen using this slow cooker, which is available for purchase here. Disclosure: This post contains affiliate links which help support our website.